Where general lightening or patchiness on coloured cement products, that are otherwise sound and fully cured, seems to disappear when dampened with water, this is an indicator that the material has been affected by lime bloom. Lime bloom does not result from a fault in the product but rather from the intolerance of cement to certain conditions during its early stage of hydration. BS 5262 Code of practice for external renderings clauses 34.1 and 47 confirm that lime bloom is a phenomenon that sometimes affects cement products. This occurs more often when these products are subjected to damp conditions, and or low temperatures during early curing, the resulting thin film of what is basically lime on the surface of the product, does not affect the integrity or strength of the material. The effect of lime bloom, also referred to as efflorescence, is initially unsightly, but will weather away naturally over a period of time providing that the elevations are exposed to the elements. This weathering process may be accelerated by washing the affected area with a mild hydrochloric acid cleaner used under controlled conditions. Weber does not manufacture a hydrochloric cleaner, but recommends a product with a strength of between 16% and 20% w/w. Dampen down or soak the area to be treated with clean water (this avoids the cleaner being drawn into the surface of the material). Using a brush (not wire) apply the cleaner over the whole of the affected area. On vertical surfaces work from the bottom up, avoiding runs. 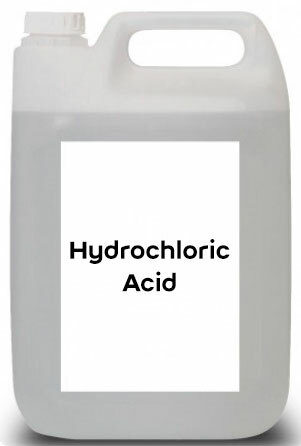 Allow the hydrochloric acid brick cleaner to act for 10 minutes. Thoroughly rinse off with clean water, working from the top down on vertical surfaces. Soft white bristle nylon brushes are best for application. Do not use metal containers. When using this product protect surrounding surfaces. It can be corrosive to metals including aluminium, chrome, copper, stainless steel and galvanised enamel, and may also mark materials, such as paint, leather and laminates. In certain cases you may need to apply more than one treatment to completely remove bloom from affected surfaces. Always treat the entire panel or elevation and not isolated areas. As a guide a 1 x 5ltr bottle of cleaner is sufficient for one application onto 20-30m² of render. On textured surfaces, coverage is reduced.